A Saskatoon high school student has a lot to brag about at school. 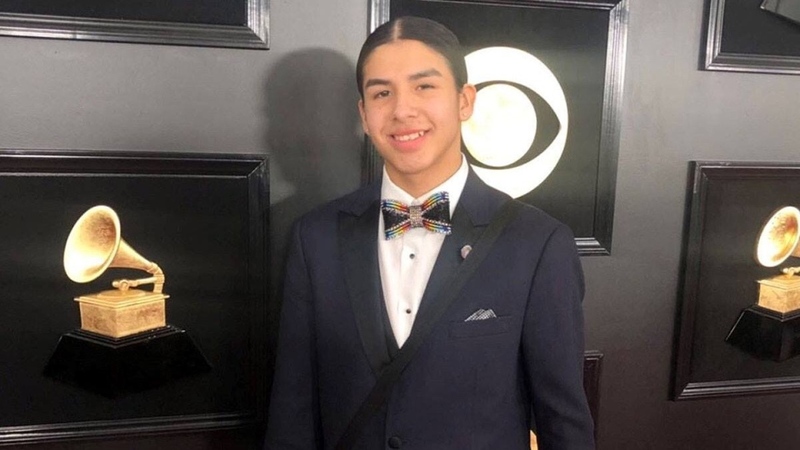 Jarron Gadwa, a Grade 11 student at Centennial Collegiate, performed a Cree round dance song at the Grammy Awards red carpet with his drum group. Young Spirit is made up of musicians from across Western Canada, California and Arizona. The group’s album Mewasinsational Cree Round Dance Songs was nominated for Best Regional Roots Music Album.